Dedicated football fans Ann and David were eager to start the next chapter of their lives with a relocation to David’s native county, Essex. Since all 3 of their daughters had now flown the nest it was the perfect time to move closer to the stadium of their beloved team, West Ham United. However, whilst Ann and David shared the same passion for football in Essex they had very different ideas about where exactly to live. Ann had her sights set on a move to a vibrant coastal town where she could enjoy the company of holidaymakers in the summer. David, however, dreamt of quieter pace of life and craved the peace and tranquillity of countryside living. With a budget of £350,000 their requirements included a minimum of 3 bedrooms, a garage, decent sized garden and good access to London. 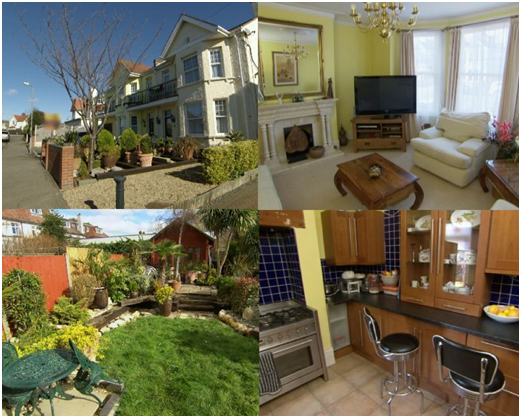 A beautiful semi-detached Victorian property situated in the lively town of Clacton-on-Sea lead Team Coast to victory. With sea-views and just a 200-yard walk from the beach this was the perfect property for coast-lover Ann but had many benefits for David too. Having grown up very near the Clacton-on-Sea area, this property really pulled on David’s heartstrings bringing back memories of time spent there as a child. The garden was perfectly sized for the pair and this property offered ample space for visiting friends and family with 5 bedrooms and 2 receptions rooms. All on the market under budget at £320,000, Ann and David were delighted to offer £305,000 for this property and this was accepted.